As you probably already know, regular brushing and flossing makes for the foundation for a healthy mouth. However, teeth have a lot of edges and tight spots that can be difficult to keep track of, and that can make keeping them clean more difficult. Particularly when it comes to cleaning your molars, which are meant for chewing. If you look close, you’ll see that they have a lot of bumps and grooves. Molars, unfortunately, make for a great hideout for cavities. This is where dental sealants from Sherman Oaks Family Dental can be a great help! Dental sealants are extremely durable, help keep your teeth healthy and prevent expensive future treatments. Dental sealants are typically applied to your molars and premolars.. These teeth have deep grooves called fissures. Molar fissures can collect bacteria and hold on to leftover food. They’re deep and can be extremely difficult to clean. That is why they are prone to cavities. Additionally, sometimes these fissures are so thin that not even a single bristle of a toothbrush can properly clean them out. Acid and plaque easily form in these regions, wearing into the enamel. Fluoride can help protect against this decay, but if you want to avoid getting cavities on your molars, we suggest that you get dental sealants. Dental sealants cover these fissures, and stop them from developing decay. Just like you can “seal” other surfaces like wood floors or leather to protect them from damage, dental sealants “seal” your tooth’s surface. This coat gives added protection against threats from acid and plaque in your mouth. A lot of food passes through the teeth, and when food particles interact with the bacteria that hides in crevices of your mouth, the result is acid and plaque that wears into the enamel. It creates a hole in the tooth, called a cavity. Dental sealants provide added protection that prevents the formation of cavities, since the enamel is no longer exposed to food particles and acids in the mouth. A dental sealant is a layer of thin, tooth-colored acrylic that is applied on the surface of your tooth. In a rather simple procedure, Dr Weyneth will paint the sealant on your chosen tooth or teeth. He will ensure that once it has been applied the sealant won’t even be noticeable. Once the acrylic has been set you then will have gained a strong, shielded, seal around your tooth that is amazingly resistant to cavities! Adults, adolescents and children can all enjoy the benefits of dental sealants in Naperville. Because the first set of primary chewing teeth appear when children are about six years old. This is usually the earliest age for your kids to get dental sealants. 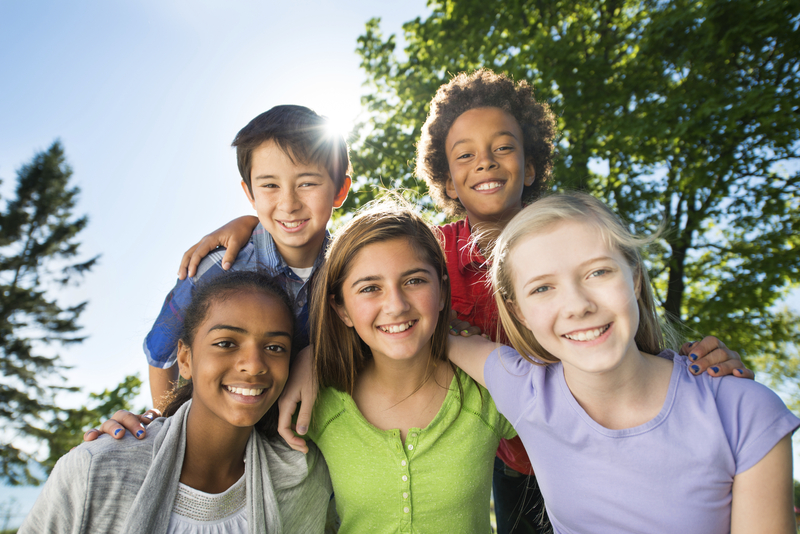 Your children’s molars replace themselves around age 12, and that can be another great time to consider getting sealants to protect the new teeth. We know how cavity-prone kids can be, and getting them dental sealants early on will help children keep their teeth healthy and prevent expensive future treatments. Adults of all ages and nearly all situations are candidates for this treatment as well. Even if you’re pretty good about avoiding cavities, we think you’ll be glad to have this extra layer of protection. It is a quick, one-time procedure. Our dentist, Dr. Weyneth will start by cleaning and drying the teeth that will receive the treatment. He will then place an acidic gel that creates an adhesive so that the sealant can form a strong bond to your tooth. Dr. Weyneth will then wash off the gel and dry the tooth again. Then he will paint the sealant on, and use a special special blue infrared light to harden it. The entire procedure can be done in less than an hour and with minimal discomfort. Dental sealants are extremely durable. You can expect them to hold up for several years even under the pressure of chewing. When the time does come to get them replaced, the process is fairly easy and can be done without hassle. In cases where Dr. Weyneth applies dental sealants to baby teeth, they frequently outlast the baby tooth. How Do I Maintain My Dental Sealants? They should be maintained and taken care of the same way as regular teeth. Regular brushing and flossing will ensure that you get minimal cavities. In addition, when you come in for regular checkups, we’ll be happy to assess the condition of your sealants and advise you on any action that may need to be taken. We hope that that we were able to answer your questions about dental sealants. If you have any remaining concerns, please know that we will be more than happy to speak with you at your scheduled appointment. Request an appointment today if the benefits we’ve explained sound appealing to you. Whether you’re interested in getting dental sealants in Naperville for yourself or for your child you can trust Sherman Oaks Family Dental to take care of you and your family. Our goal is to make you 100% satisfied! Even though we can’t guarantee that you’ll never get another cavity again, we can promise that this treatment will help give you or your child added protection against tooth decay. Combined with regular dental checkups, daily flossing, and brushing twice a day, your teeth will be healthy. Schedule an appointment today! We look forward to seeing you and the members of your family in our Naperville dental practice!